Surely the best place to store your most valuable possessions is in a box that looks like it's made out of bacon! This cardboard Bacon Storage Box measures 7-inches long x 5-inches wide x 1 1/2-inches tall, and features a lid that is held shut with a magnetic closure. 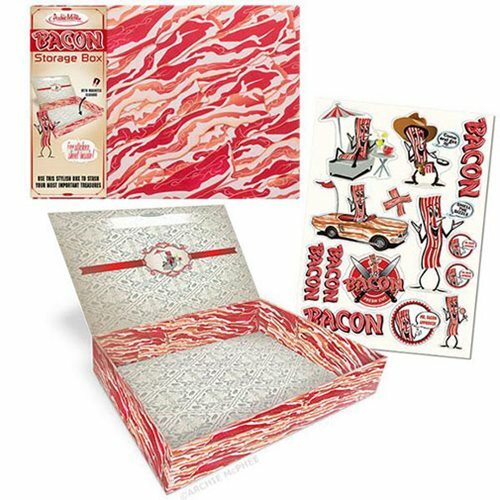 Beautiful inside and out, the Bacon Storage Box includes a free sticker sheet full of bacony goodness! Ages 14 and up.